Due to the power of online video to ignite emotions, build trust and engage with consumers, more marketing professionals are including video in their communication matrix. That said, it’s the really smart marketing professionals who are using a combination of video formats to amplify results. Short-form, six second video ads, also known as bumper ads, are the new new. For good reason. They capture attention in a world where mobile is creating a new battleground for delivering innovative brand experiences. Thanks to increasing mobile penetration, short-form video is crucial to gain consumer attention. It is important to note how much a brand can actually say in six seconds and how effective they are for recall and awareness. They are a cost-effective way to reach your target audience and ensure your message remains top of mind. Brands of the future are using a combination of short-form ads and long-form video to tell a brand story. The result is greater brand awareness and powerful engagement. There are three ways of using a combination of short and long-form video to improve reach and frequency, reinforce your message and reduce overall campaign costs. Create content that builds curiosity, seduces and leaves the user with a lasting message or metaphor. Plant the seed in a bumper ad and reveal the story in a longer video on YouTube and TV. Studies have shown that nine out of 10 bumper ads lift recall of the overall campaign. If you’re launching a product, tease the consumer with what’s to come. Then ensure your longer form content speaks to the same story line. Short-form ads drive incremental reach. 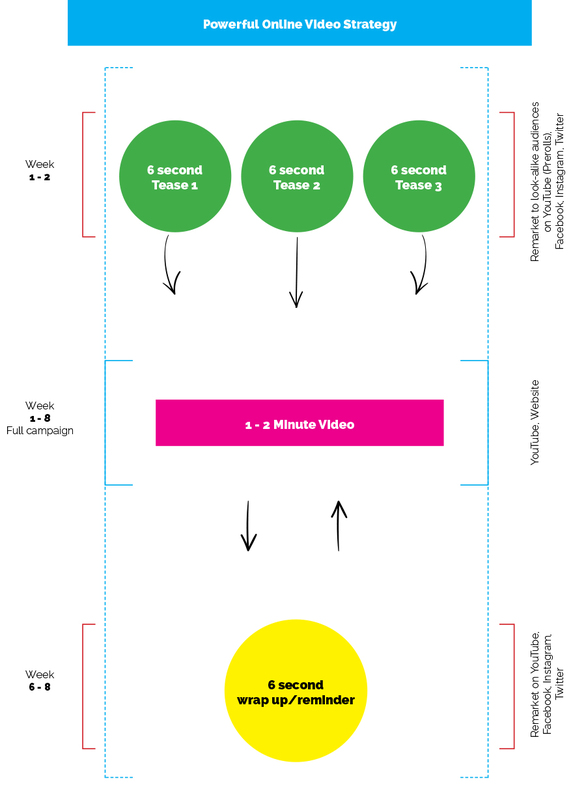 Long-form video supports with key messaging and value proposition. Combine the two and improve overall ad recall. What’s more, viewers exposed to bumper ads in addition to longer-form ads show a higher rate of ad recall than just long-form ads. Short-form ads are an effective, punchy reminder of long-form ads as a campaign draws to a close. They can inspire viewers to take action before it’s too late, increasing the impact of the campaign. Viewers have a higher recall of the longer story with remarketed short-form ads. Brief: Produce video that delivers your campaign message and drives action. Challenge accepted.